We are leading manufacturer and supplier of Vinyl Based Inks. These are shree lam series of inks for reverse printing on polyester film for various food grade jobs. It has sharp printability with good colour strength, excellent colour resolubility with low solvent retention and better bond strength in lamination, suitable for low and high speed machine for all types of laminated packages. 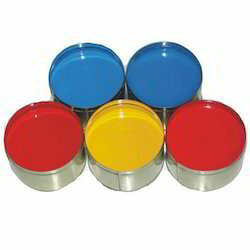 These are superb quality solvent based Inks. They have excellent gloss at high pigments level. 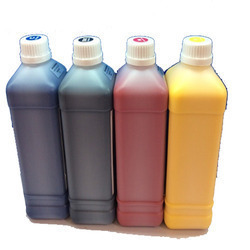 These Inks are suitable for printing on PVC, ABS, Acrylic, Poly Carbonate, Foam Sheet. Shades : 20 shades available.